A labor law firm dedicated to representing public safety agencies, applicants, & employees, with a focus on civil service litigation, public safety retirements, police labor law as well as Massachusetts License Litigation and Mass. RMV Law. 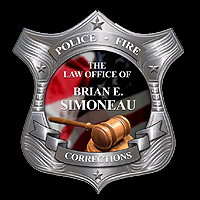 Attorney Brian Simoneau's police background and years of experience in both the legal and public safety fields, combined with his in-depth knowledge of civil service, collective bargaining, public employee retirement, and labor relations laws and procedures make him the ideal attorney for clients with police, fire, corrections, or other public safety related labor or employment issues. Attorney Simoneau is uniquely suited to effectively handle civil service bypass appeals, public employee retirements, G.L. 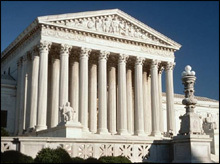 c. 41 § 111F ("injured on duty") issues, disability claims, disciplinary cases, contract negotiations, collective bargaining, Fair Labor Standards Act (FLSA) litigation, and many other labor and employment issues. For the past several years, he has effectively represented Massachusetts police, fire, and corrections employees and agencies throughout the Commonwealth. Attorney Simoneau also represents clients before the Massachusetts Registry of Motor Vehicles and the RMV Board of Appeals. Together with Attorney Patrick M. Rogers of Commonwealth Police Service, Inc., Attorney Simoneau publishes Police Legal News, a free newsletter for Massachusetts Police Officials. Click here to subscribe. Enter your e-mail address below to subscribe to Police Legal News, a free monthly newsletter for Massachusetts Police Officials published by Attorneys Patrick M. Rogers and Brian Simoneau.